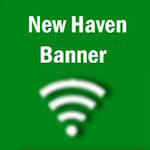 Preceding the regularly scheduled monthly meeting of the New Haven School Board, board members held the tax levy hearing for the 2011 – 2012 school year. The proposed rate, by Superintendent Kyle Kruse was $3.9448 with a debt service levy at $0.53. Kruse explained to QNHN on Mon., Aug. 15 what this means to the community. Kruse said, “The district is able to establish the rate via the Tax Ceiling, or take a Voluntary Rollback from that number. Traditionally, the school district has taken the Voluntary Rollback option. The Tax Rate Ceiling is currently $4.35 per $100 of Assessed Valuation.” According to Senate Bill 711, the district is required to start from the rollback taken last year of $3.9448, due to this being a reassessment year; however they are able to raise the levy using that as its starting point. Raising the levy to $4.0840 would generate an additional $40,000 in revenue for the district, however Kruse believes that, “In these economic times, it is not good practice to raise the tax.” The district is projecting a small deficit, as they did last year. Board member Kyle Quick said, “After looking at the budget, the proposed levy is appropriate.” There were no citizen opinions presented at the hearing. Following the discussion, the board began the official meeting, within which was the vote on the proposed tax levy. The Superintendent’s Report presented positive comments towards the beginning of the school year and conveyed thanks to the custodial and maintenance staffs, cooks, teachers, aides, and the administration for making sure everything ran smoothly at the start of the year. The tax levy was presented for final determination and motion. The proposed rate was at no change, at $3.9448 with a debt service levy of $0.53. The district has the option of raising the levy, using $3.9448 as a starting point and can raise it to as much as $4.35 at the debt ceiling. This is due to Senate Bill 711 stating, “Every political subdivision in a reassessment year must roll back its prior year's tax rate regardless of whether the political subdivision was levying the tax at its tax rate ceiling.” Board member Nadine Pruessner motioned to approve the proposed rate at no change of $3.9448 and was seconded by board member Diane White. The motion passed. With the goal of selecting the top architectural firm to develop a long-range facility plan for the district, the five firms that presented at the last meeting were discussed. Board President Brenda Menke expressed her concern that the firms acted as though the district is ready to bond/build immediately. Kruse confirmed that the district specified in the plan that it is for the future and was quantified as a long range planning process. Throughout the discussion, the board seemed to come to a consensus that the KRJ and DHA firms were the most impressive. Board member Dorothy Schowe expressed that she believes, “both of these firms have more expertise than the district has had in the past”. Kruse, Pruessner, and Schowe visited schools that have had work done by the firms and were in agreement that both KRJ and DHA have great ideas and the board members admire the work that was done in these other schools. Kruse suggested a private ballot vote with each member ranking the five firms in order of each member’s picks, 1-5. As expected from the conversation, DHA and KRJ were the top two firms selected by private ballot. The arrangement of scope of services, final price, and qualifications will be discussed at next month’s board meeting. The New Haven School District has been placed in “District Level 1 Improvement” status under the federal No Child Left Behind Act. Kruse explained that 82% of schools in the nation and 70% of schools in Missouri are in need of improvement. New Haven is the last K-12 in Franklin and Gasconade counties to get “tagged”. The bigger schools in the area have a greater chance of being placed under this status because they have more subgroups. The board members were invited by Mr. Strobel to take a “field trip” to the high school cafeteria following adjournment of the meeting. A tile shamrock was placed in the middle of the floor. Kruse gave recognition to Strobel for getting the donations for the project, implementing the design, and having the project completed. Strobel stated that the thank you should also go to the David Ocheskey family for donation most of the funds for the project. The next school board meeting will be held September 14, 2011.